My birthday was last week, and my friend Danielle’s birthday is today. Since she enjoys a glass of wine every now and then, I decided while browsing Pinterest one day to make her a wine tote. The user friendly quilted wine tote tutorial on the Needles and Spatula blog prompted this burst of creative gift making. I found the fabric back when I was on my little fabric shopping spree, and even though it was my most exciting find of the day, I’ve had to sit on the surprise until now. Danielle loves owls, so I’ll let the picture speak for itself as to why this fabric almost made me squeal in delight. Ok, I can’t just let the fabric speak for itself. How perfect is it that Danielle likes owls AND I was shopping for wine tote fabric AND I found fabric with owls flying around carrying wine? I couldn’t have planned it better if I had a fabric designer at my personal disposal. This project was the culmination of a few firsts. It’s the first project that I’ve completed with my new birthday sewing machine, Betzee. The binding at the top wound up being sewn on by hand because Betzee and I are still getting acquainted, and we’re experiencing some tension problems. Literally, tension problems — I kept winding up with snarled thread on the wrong side of the fabric. I’m sure a consultation with a sewing friend will set me right again, but a narrow binding sewed to two layers of fabric and two layers of batting on a curve wasn’t the ideal situation to straighten out my tensions with Betzee. I watched a couple episodes of Numbers starring the dashingly handsome Rob Morrow while finishing the project, so everything came out ok in the end. Also, this is the first time I’m joining a linky party in the blog world. I recently discovered Quilt Story, a lovely blog all on its own. My favorite days are Tuesday because a wealth of inspiring fabric-based projects are featured from a multitude of bloggers. 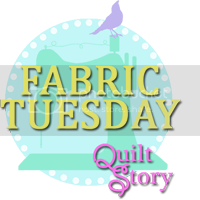 I’m looking forward to following on Tuesdays, so I can find some other quilting blogs to follow, and I’m thankful that Heather and Megan over at Quilt Story take time each Tuesday to inspire others to be creative. Oh, and one more first. Last night, some friends had dinner, and I took grasshopper cupcakes to celebrate Danielle’s birthday. I highly recommend making these layered cupcakes. They start with a base of brownie and vanilla cake mix, so you won’t be tied in your kitchen all day making them. I did adapt the recipe a little; instead of using only the vanilla canned icing, I added a packet of the new Duncan Hines Frosting Creations Mint Chocolate icing flavor to the vanilla icing. It made the cupcakes more minty — a perfect refreshing treat to finish off springtime meals. 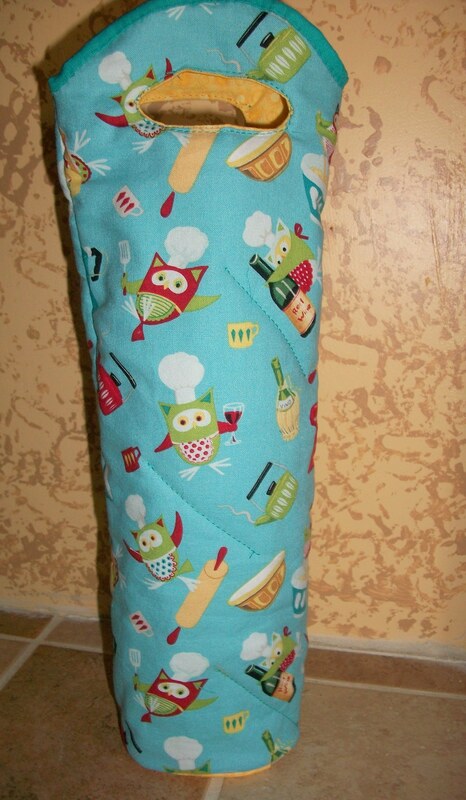 This entry was posted in cooking, quilting and tagged baking, betzee, sewing. Bookmark the permalink. That is so cute!! Love it! Thanks for linking up! !